Year-end can be a painful process – asking your clients repeatedly for documents, manually entering all their final data, and going back and forth between multiple software tools. Workpapers in QuickBooks® Online Accountant consolidates client data into a working trial balance for efficient year-end prep. You can make adjusting entries, assign GIFI codes and analyze accounts directly in QuickBooks to get to the return faster. GIFI files can be directly imported to Pro Tax T2 in QuickBooks Online Accountant, or exported to any tax software of your choice. 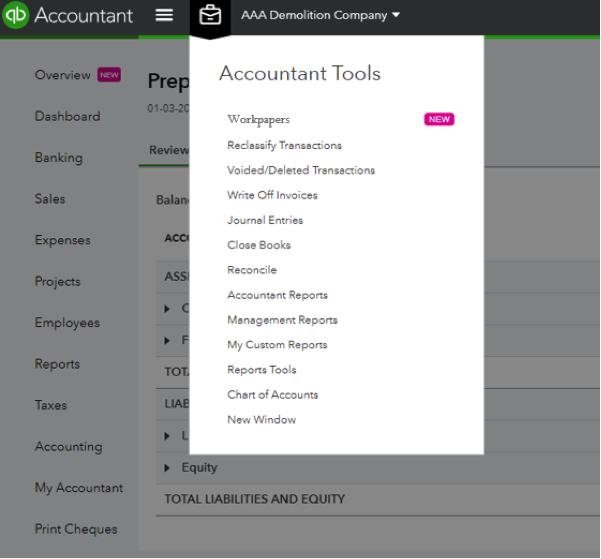 An all new design is easier to navigate and use, with expandable accounts and clear account balances. The columns are organized with closing balances for each account with the year-over-year amount changed right beside. 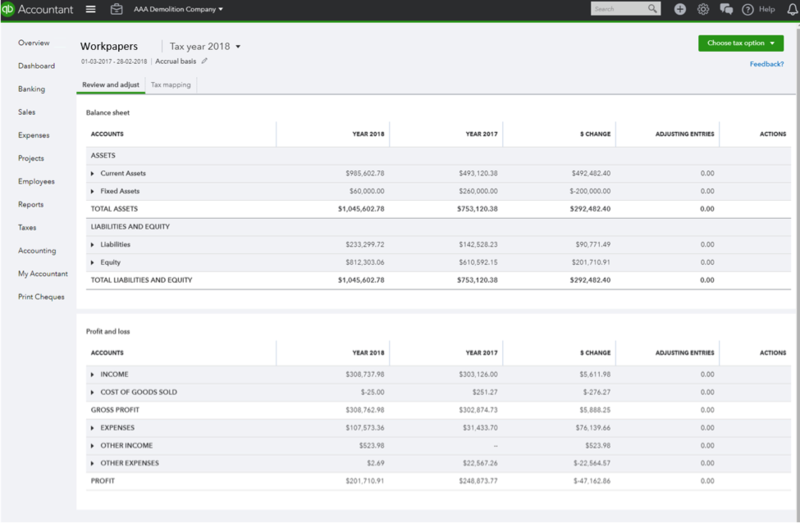 Quickly see the Balance Sheet and Profit and Loss in one view, then make adjustments with a click. Tax code mapping is now compact with the codes clearly displayed for fast review. Change notifications highlight any changes made to the book since you started the year end. Review and accept any changes into the trial balance. Still free with your client’s QuickBooks Online subscription. Start preparing your client’s year-end today in Workpapers. Try Workpapers today by selecting “Workpapers” from the Toolbox menu.